When it comes to Holiday gifting, I wholeheartedly believe the best friend, neighbor, co-worker, and teacher gifts come wrapped in a jar. Don’t you? Scrumptious jellies, jams, preserved fruit, and veggies. Not to mention; candies, cookies, fudge, cupcakes, rolls… I could go on and on. 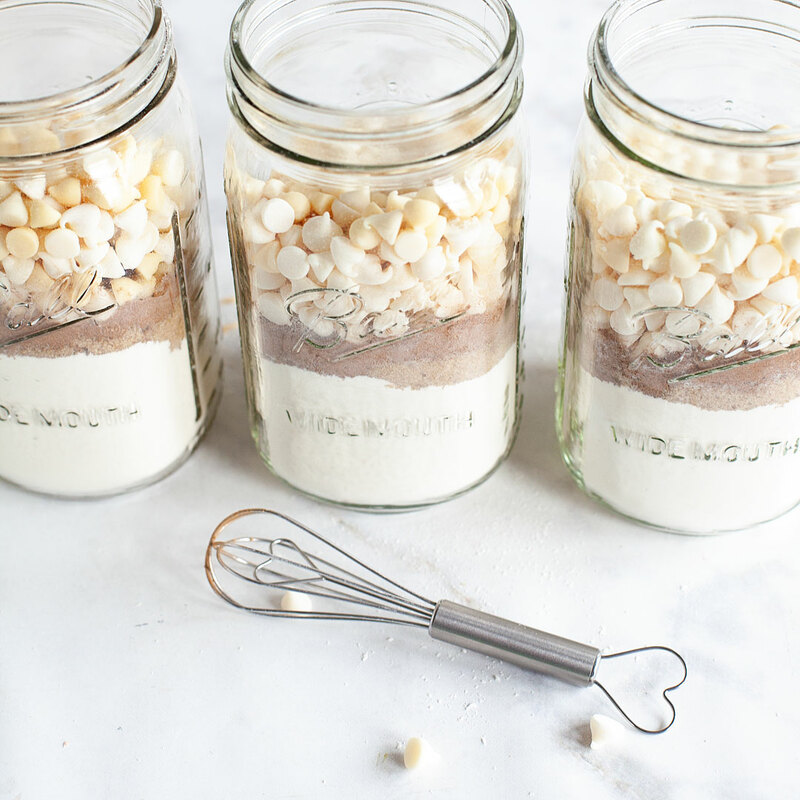 I LOVE what you can do with a simple Ball® Mason Jar. 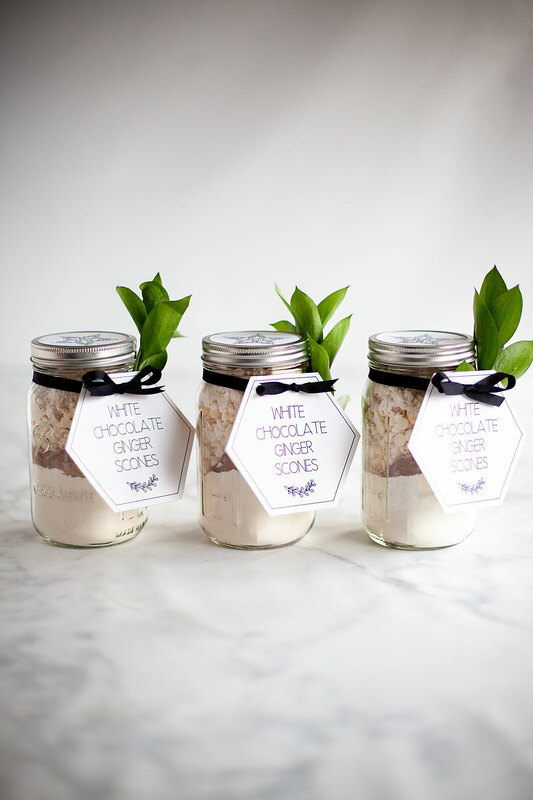 This year, I’m working on all kinds of fun gifts for the Holidays that will look spectacular gifted inside of a jar. 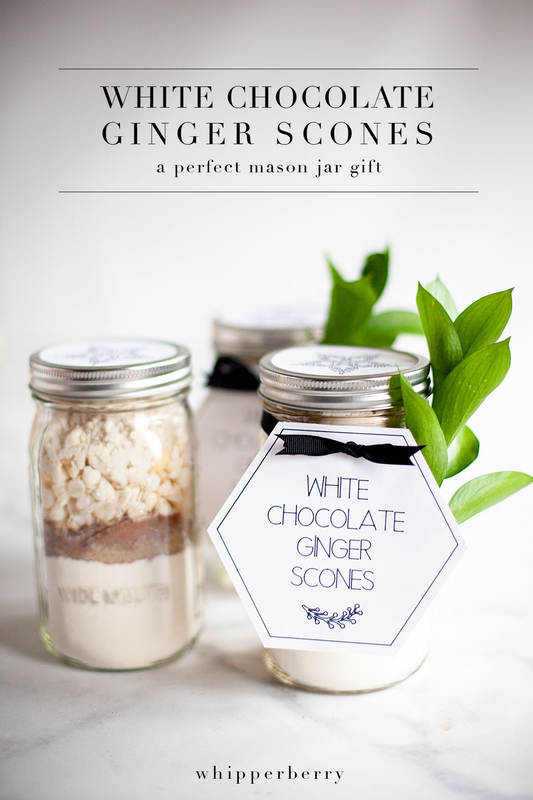 One of my favorites is the White Chocolate Ginger Scone Mix in a jar. It’s really easy to put together a whole bunch of these gifts and really not expensive at all. It’s always a bonus to save a little money during the holidays. 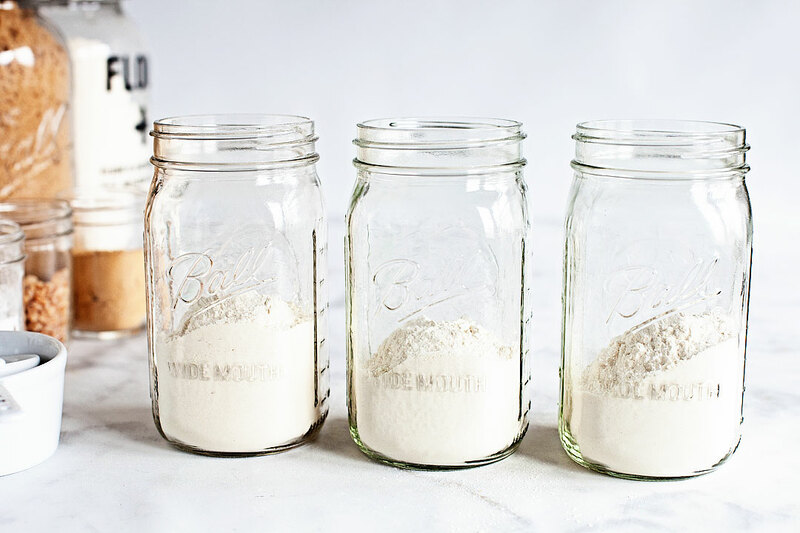 Now, this project makes 3-quart jars, however, feel free to double, triple… quadruple the recipe to make however many you need. One tool I find invaluable when creating gifts like this is my handy funnel. I love this thing! 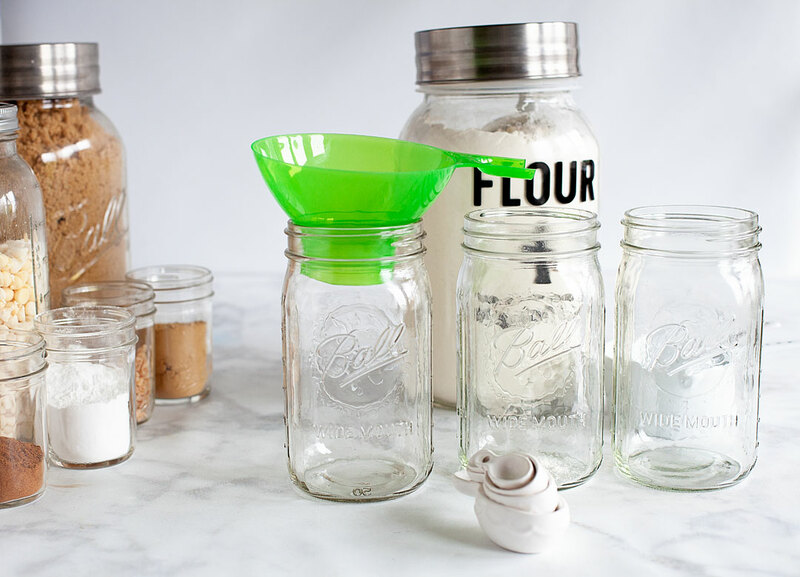 It’s specially designed for wide mouth mason jars and it helps so much with keeping the mess down, not to mention wasted ingredients. 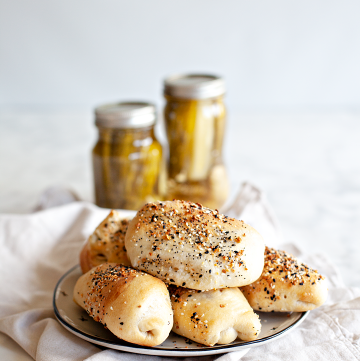 I like to line up my jars like an assembly line and then layer each ingredient. I start with the flour, baking powder, and baking soda. 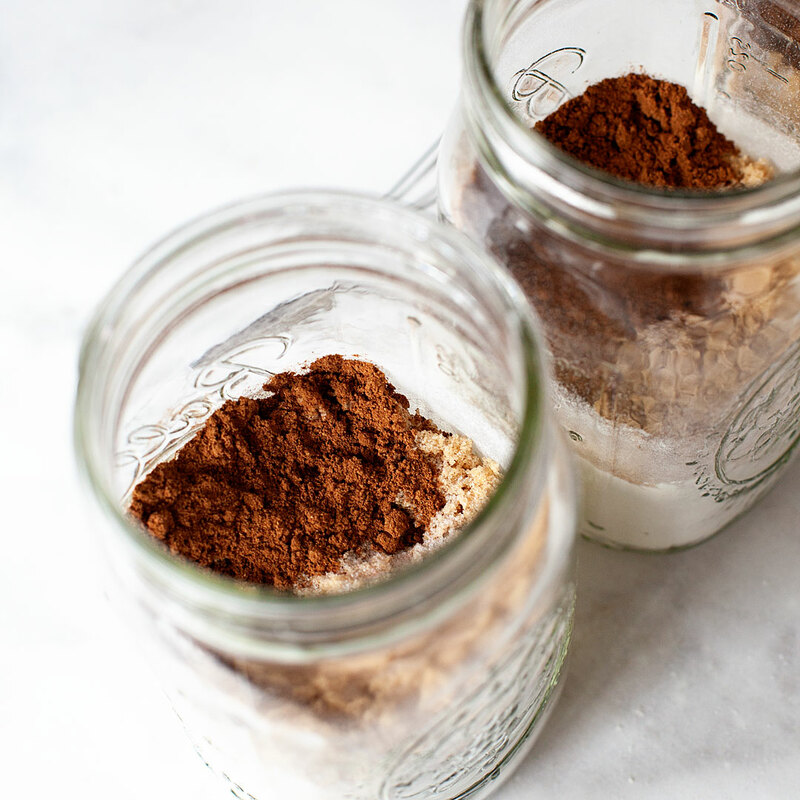 In a small bowl, I combine those three ingredients and then evenly distribute them into the 3 jars. Next, I add the brown sugar, then the spices & salt. Then, top it all off with the white chocolate chips. Now is the extra fun part, decorating the jar. I have two options for you here. 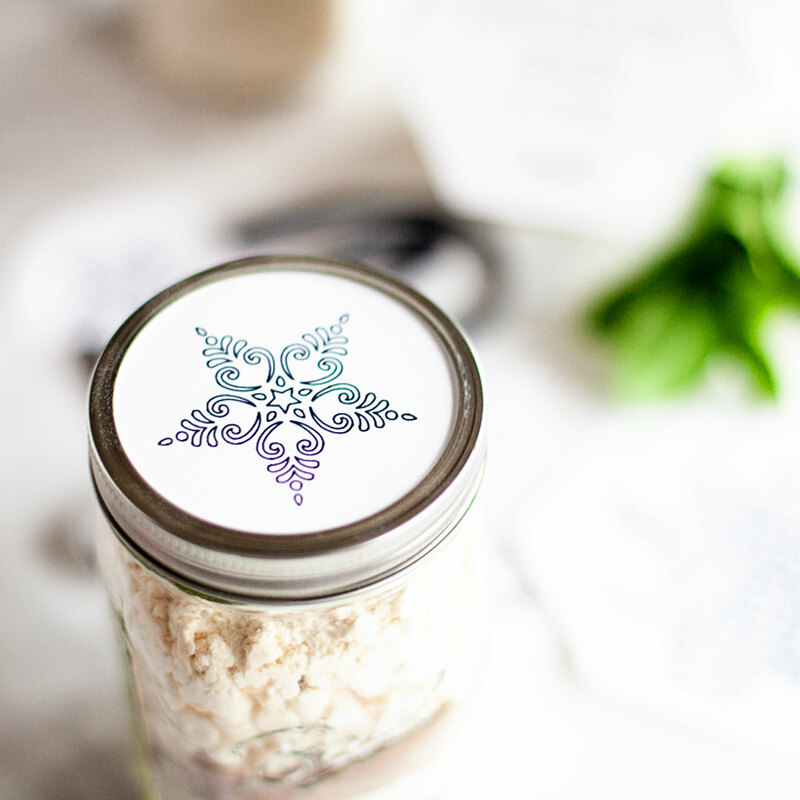 If you are a Cricut owner and would like to use my Cricut cut files for the jars, you can access those HERE. 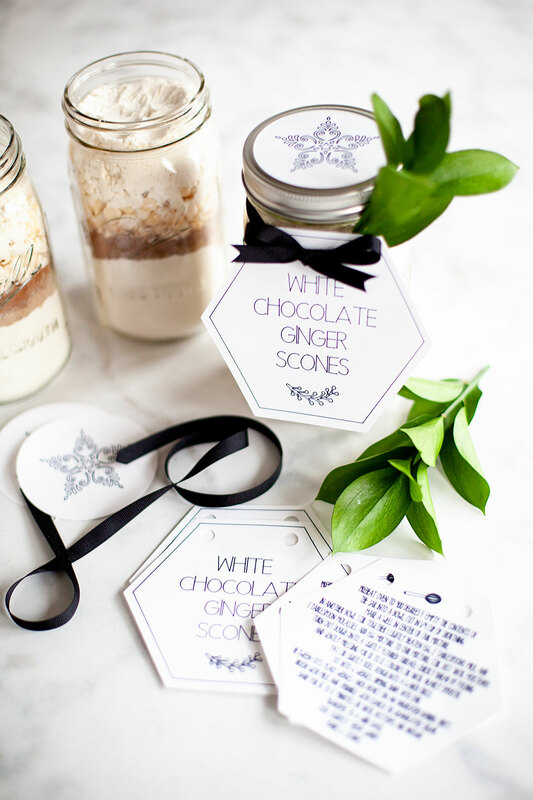 The graphics for these labels will be different than the printable labels, however, they are both just as classy. 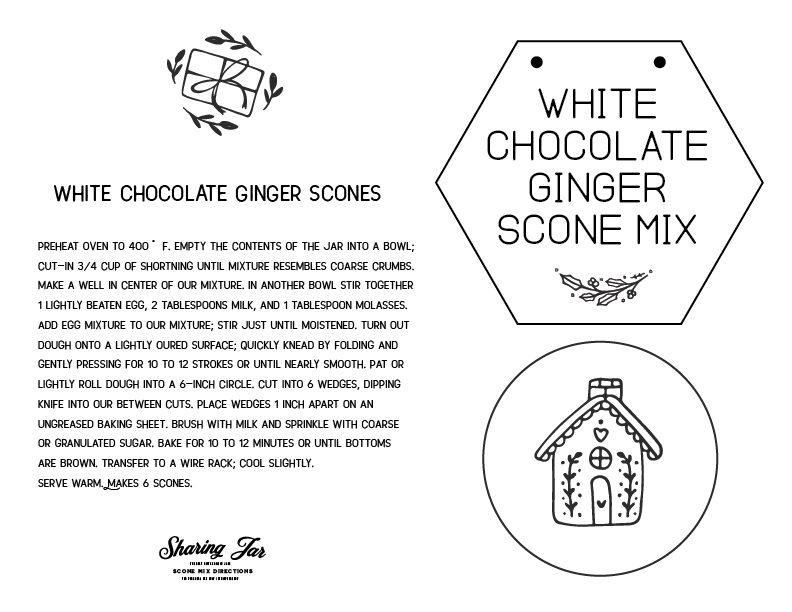 If you would like to print your labels, HERE is the link to be able to download this printable label, jar topper & mixing directions. 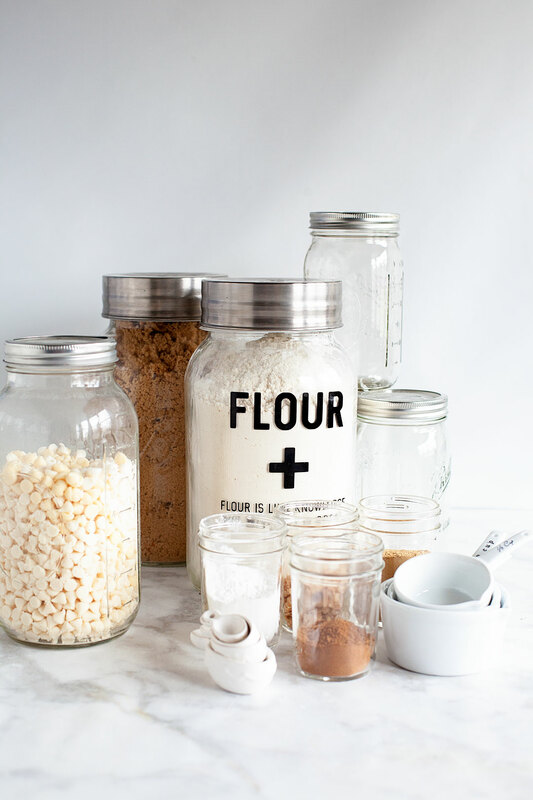 Now, all you have to do is add your jar toppers to the lid and tie your label on with ribbon along with a sprig of greenery. I love this. This will be perfect for my mum, sister and MIL who will all be at my place for Xmas. 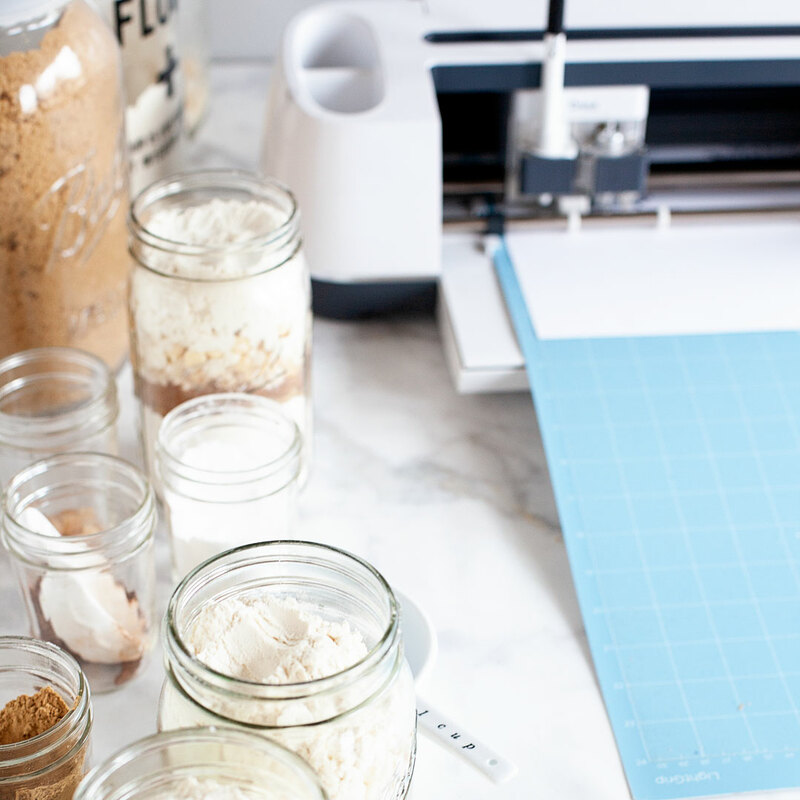 I love the idea of getting some homemade gifts organized early! This could be an amazing gift idea. Thanks for sharing. I’ve noticed that too. I rechecked that I did get the recommended size jars and there is a lot of space left at the top of the jar above the choco chips. I hope someone replies soon so I can finish these gifts before Christmas! Hi! Your gift jars are amazing. I’ve made a split pea jar already and now venturing into the scone mix. 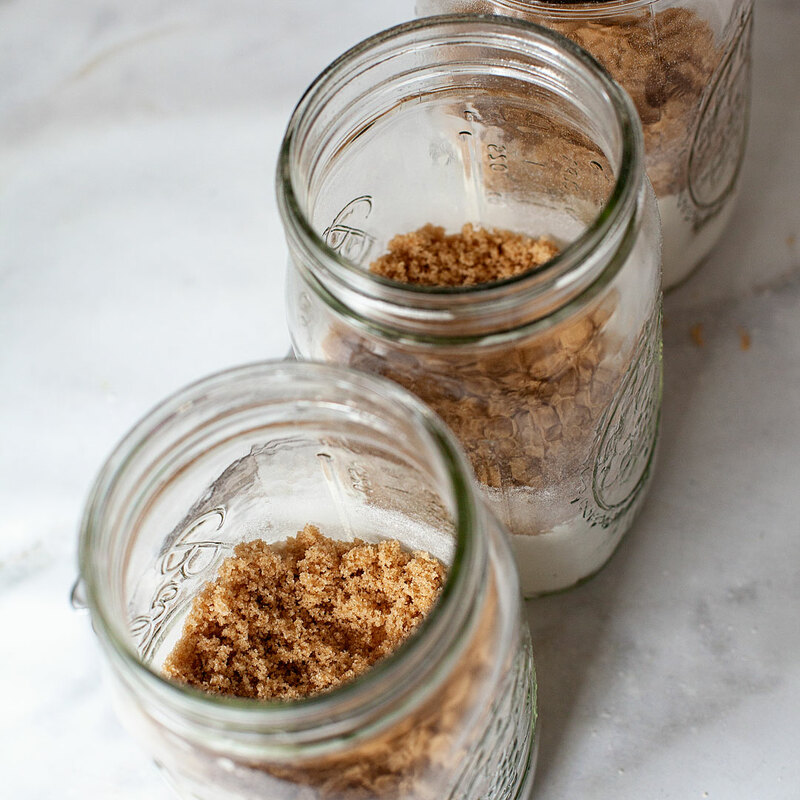 One question, for the other ingredients (e.g., brown sugar), do I divide those evenly into the 3 jars as well (like the flour mixture)?